Joining forces with Den 9 to complete our Arrow of Light! 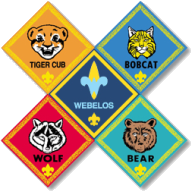 We had our first Den meeting on Aug 27 and started off by doing some review, and working on a combination of things for both our new and returning scouts. About Scouting in Germany: It started in Germany in 1909, after World War 1. The scouts in Antarctica are assisting scientists for a long time. Some activities are scuba diving, mountaineering, kayaking, and camping and snowshoeing. When camping on ice of skin tents you hear the splashing of whales and penguins. Only one big troop in the arctic. The cub scouts in Antarctica are assisting scientist for a while. They do fun activities like camping, scuba diving, snorkeling, hearing the animals, and more! And there is only 1 troop in Anarctica. Thanks boys for doing an awesome job!